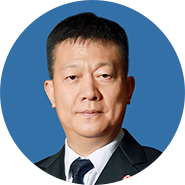 Party Secretary, Chairman and Legal Representative of Avic Trust Co., Ltd.
Yao Jiangtao is the Secretary of the CPC Committee and the Chairman of the Board of Directors of AVIC Trust Co., Ltd. He is also the Director of the Industrial Development Research Leading Group of China Trustee Association, the Academic Consultant and Member of Council of Chinese Academy of Financial Inclusion, the Deputy Chairman of U.S.-China Green Fund and Vice Chairman of its Investment Management Committee. Mr Yao is the Academic Member of China FinTech50 Forum and Member of the Second Specialized Committee of Pharmaceutical Innovation Investment of PhIRDA(China Pharmaceutical Innovation and Research Development Association). With 38 years of experience in financial industry, he possesses rich financial business and management experience in banking, securities, futures, funds and other financial sectors. He has been actively promoting AVIC Trust in regard of investment and M&A in the fields of innovative biopharmaceuticals, smart medicine, big data medical treatment, gene testing, stem cells, Internet hospitals, old-age care, and other medical and healthcare fields to support the growth and innovation of the pharmaceutical industry and promote the development of the medical and healthcare industry.